It's the final day and I'm a little bit surprised we've made it this far. 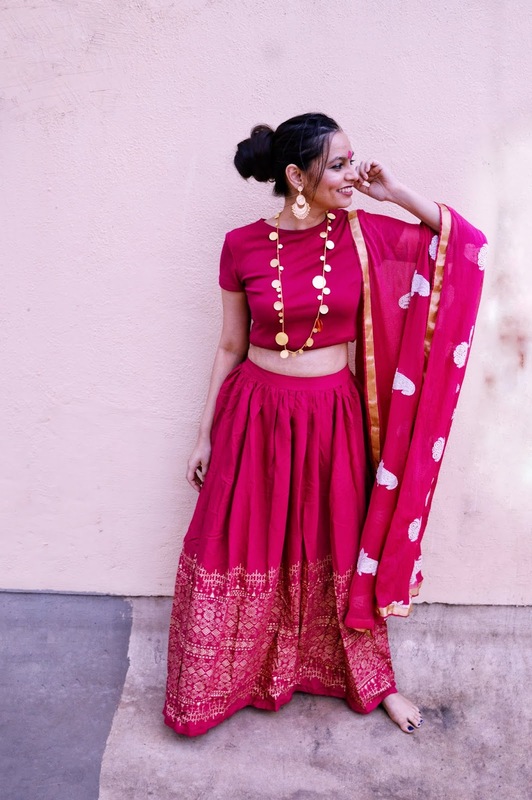 For the last day, I wanted to get a little bit of everything and create looks that appealed to all the aspects of Navratri style that make me happy. Honestly, since I'm currently really unwell (lol, yea, what's new) this is going to be fairly short. I hope you understand and before we even get into it, sorry for having almost the same pose in every outfit. This was after about 7 looks and I just wanted to get back home and get some pizza and snuggle with all my pillows. For this look, I actually really wanted to keep things simple. Now I don't think I mentioned it before, the hero piece for this was actually a peplum top. This piece was something that I literally love so very much I would happily wear it every single day of the week. Well, back to the look, I really wanted to keep this basic so we paired the peplum top with a long shirt dress and a pair of fitted trousers and added a statement earrings. That's literally it! Sometimes, you don't need much to create a look that's still pretty and minimal. Also, sometimes, less is more when it comes to accessories. If you're somebody who doesn't enjoy wearing accessories that's ok. I known that's shocking coming from me but honestly, you do you! It's completely fine to just wear a sinlge statement piece. For the second look, I wanted to mix seeming polar opposites together. This Suta saree was my first every buy from the store and is ligher than air folks. It really is. Now, I wanted to pair it up with a blazer since that isn't the post common pairing out there and can we just take a moment to appreciate how great this outfit turned out? I absolutely love pairing these together and also think that it gives the outfit that shock factor while still making it stand out! 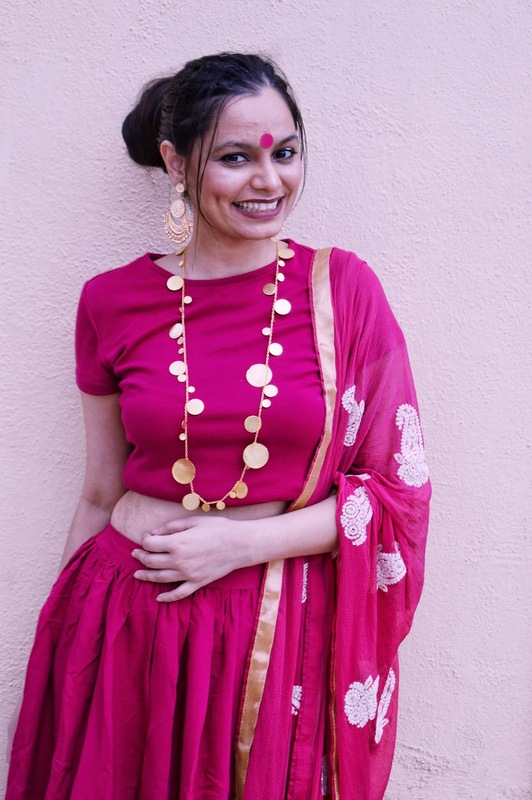 For the rest of the look, I just added a pair of statement earrings and of course a waist belt because I think they make your sarees that much more comfortable to wear and give you just a bit of extra confidence (well atleast for me it does). For the final look, I wanted to create something a lot more classic. That obviously meant going for a chaniya choli situation. 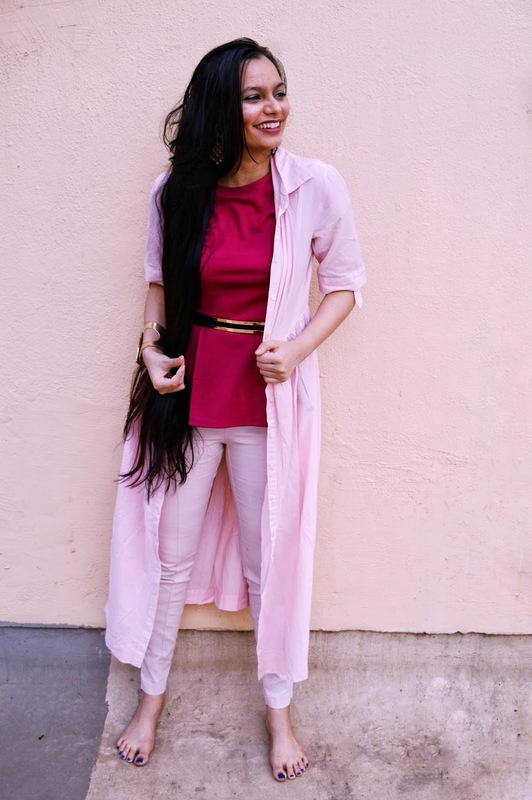 The entire look is actually a mix of separates. I first folded the peplum part of the top to create a crop top. A good tip is to pin it as evenly as possible so that it isn't bulked up anywhere. 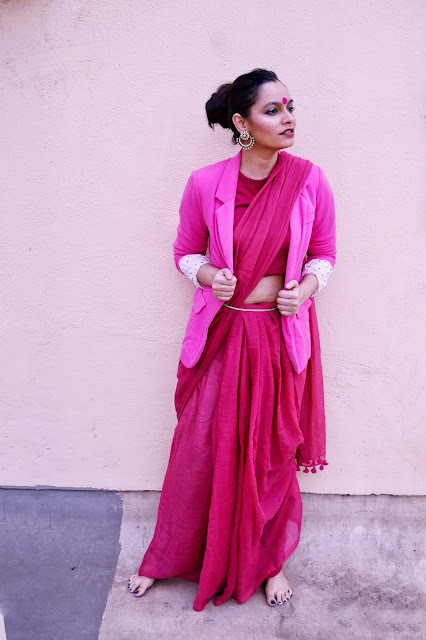 Next, I added this maxi skirt that was on sale and is actually a part of last year's diwali collection from global desi. I usually like buying pieces that will look good forever when they go on sale instead of buying trends. Finally, I (of course) borrowed mom's dupatta in the same shade range to complete the look. Honestly guys, it helps to have a friend, aunt, mom or somebody else you can borrow things from, saves you money and time! To tie the whole thing together, I just added a statement necklace and that's it! We're done! That's all of it folks! This series has been an experience this time around with my terrible health and lots of other personal challenges. If you've liked even a single one of these looks, please dont forget to share these with your friends on social media. I'd also love it if you could follow me on Instagram and join in on the fun! PS: If you'd like to see the looks for the other days and trust me, some of them are super fun, you can go see them using the links down below!